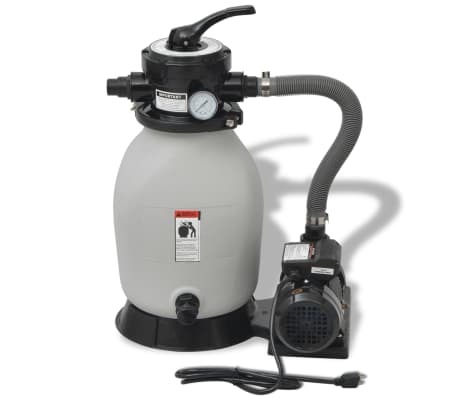 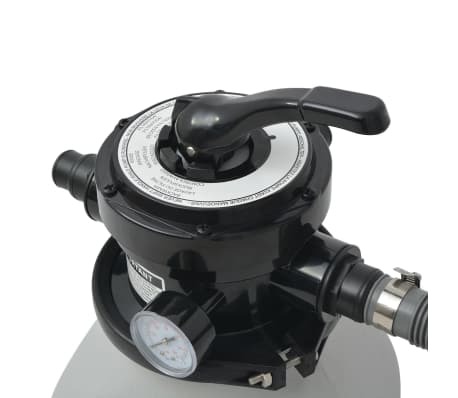 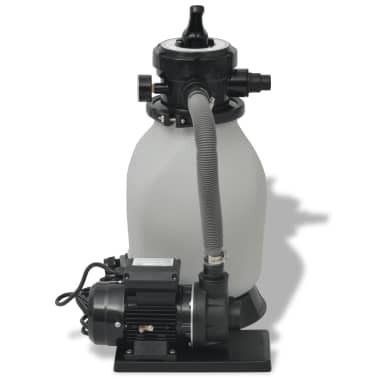 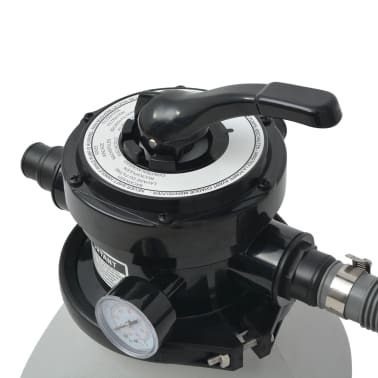 This sand filter system has a pump with a flow rate of up to 2694 gallon per hour. 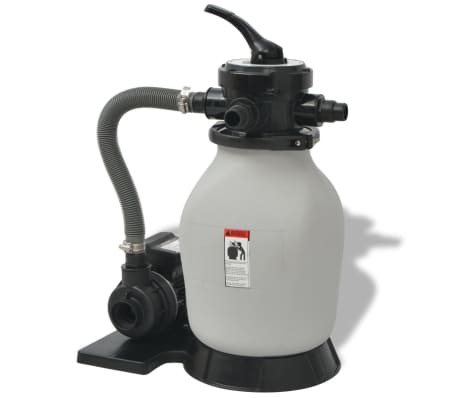 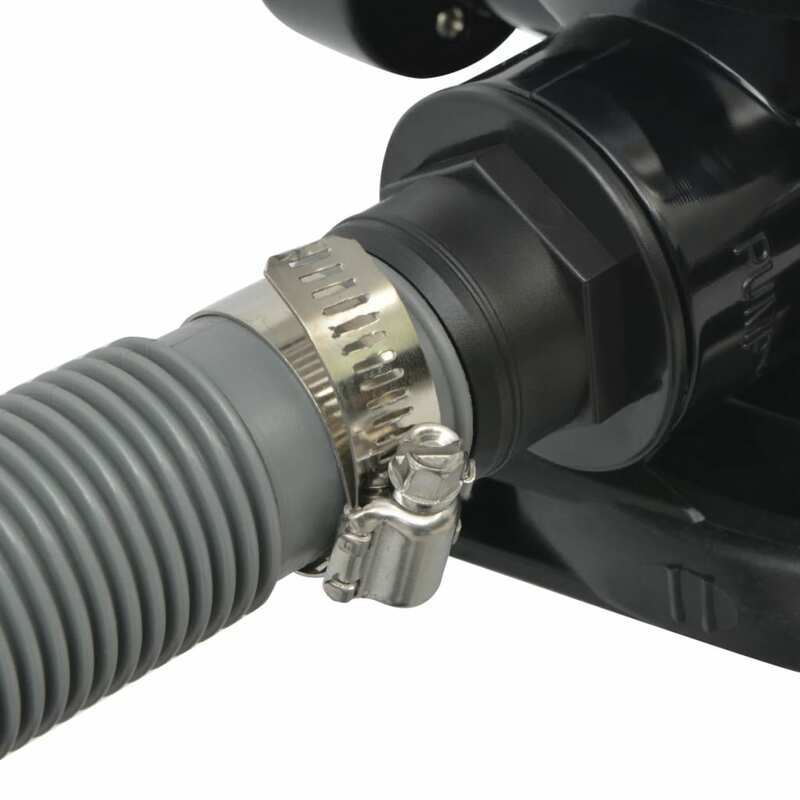 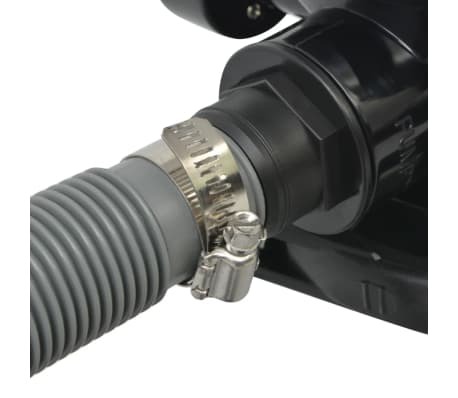 The filter is equipped with a multiport valve for filtering, backwashing, rinsing and hibernating. 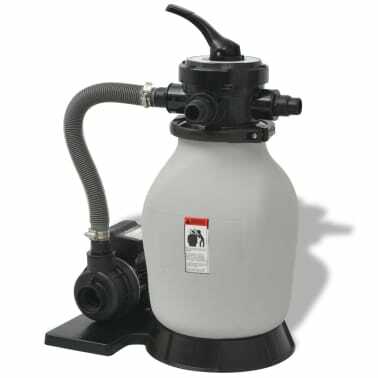 Up to 2694 gallon per hour is fed into the filter unit by the included pump to be purified and recirculated into the pool. 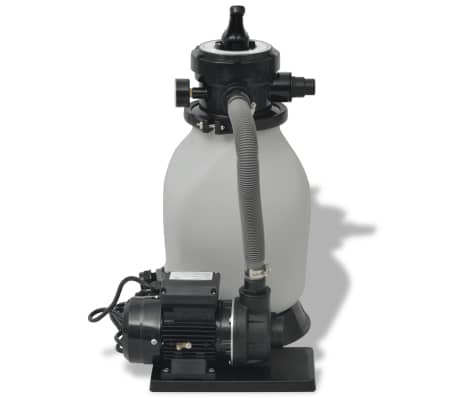 It is a sand filter system that filters and purifies your pool water using quartz sand. For secure mounting, this set includes a base that can be fixed on the floor. 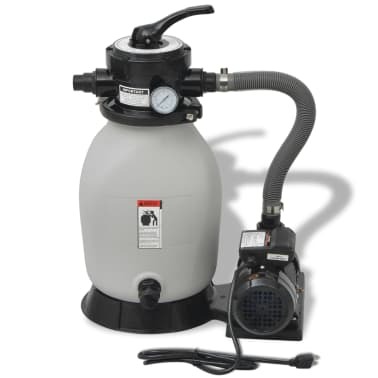 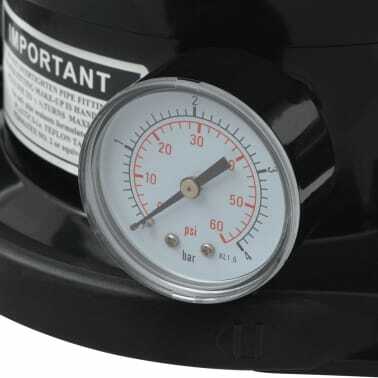 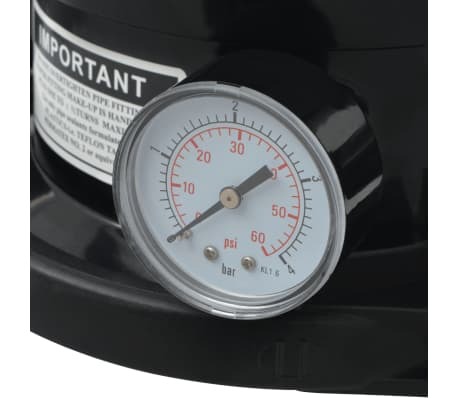 To start running the system, 42 pounds of filter sand (not included) with a grain size of 0.018 to 0.022 inch are required.